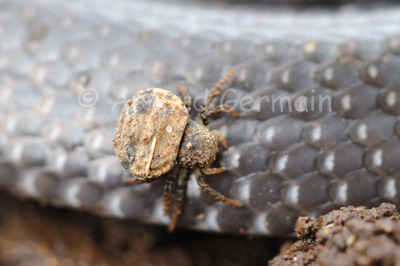 As I was taking pictures of a Cape Wolf Snake in my garden, I noticed this small spider crawling on its scales. I readjusted the camera and took some pictures. Nikon D700, Nikon 85mm Macro VR, F9, 1/125s, ISO 1000, handheld.